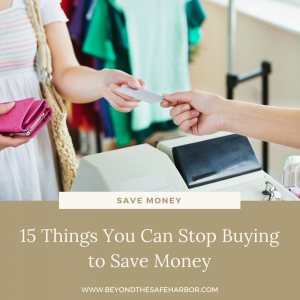 An avid online shopper and bargain hunter, I’m always on the lookout for ways to save money, especially when it’s easy and convenient. Avoiding crazy malls, long lines, out of stocks, and travel time all sound good to me. And the icing on the cake? Being able to shop at home in my pyjamas! One of my favourite ways to save money shopping online is to use cash back websites. (And my post on about how to save money online using cash back sites covers how they work in more detail). While many of you have heard of Ebates.ca and Ebates.com, you may not be familiar with Giving Assistant. 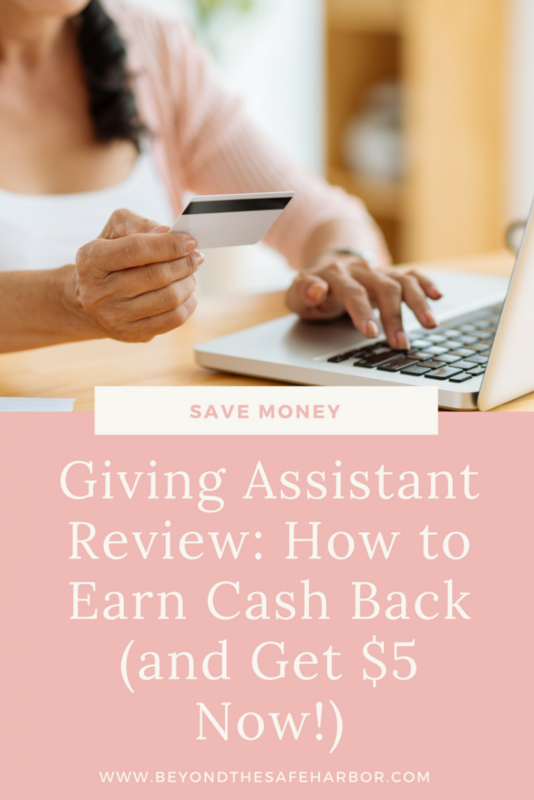 This Giving Assistant Review will give you a full run down of how the site works, and you can also score $5 just for signing up! Like Ebates.ca and Ebates.com, Giving Assistant is a shopping rewards platform that offers shoppers cash back on many of their online purchases. 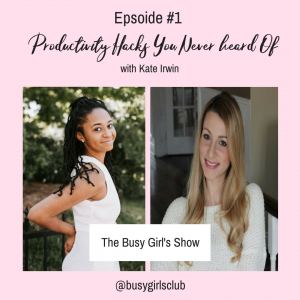 As I explain in my post on how to save money on Christmas gifts, cash back sites receive a commission from the retailers you shop from, and then pass a portion of the commission back to you. What makes Giving Assistant different is that not only do they let shoppers receive cash back, but they make it easy for them to give back to charitable organizations that matter to them. To start, sign up for an account with Giving Assistant. It’s free to join, and you’ll earn $5USD just for signing up through my link! Let’s say, for example, that we’re shopping online at Indigo (a Canadian books and home goods store). 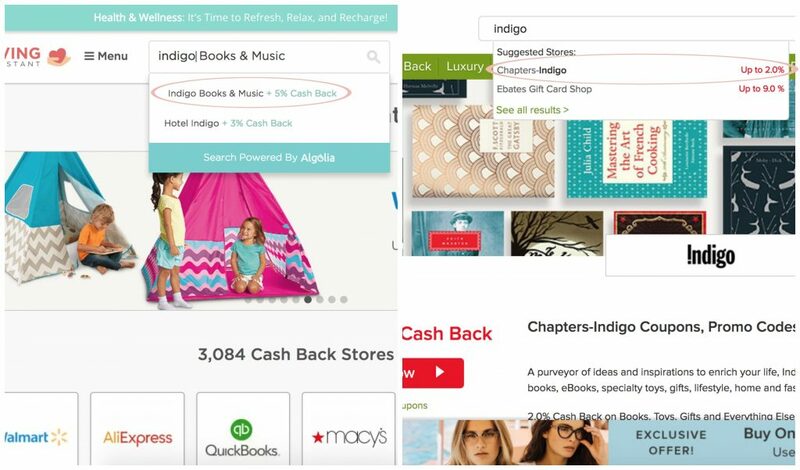 We can quickly see that Giving Assistant (on the left) is offering 5% cash back on purchases whereas Ebates.ca (on the right) is offering only 2%. Based on this, it makes more sense to go through Giving Assistant for the purchase. Click the retailer name and you’ll be taken to a page with more coupon codes, information on payment speed, and a link to shop. 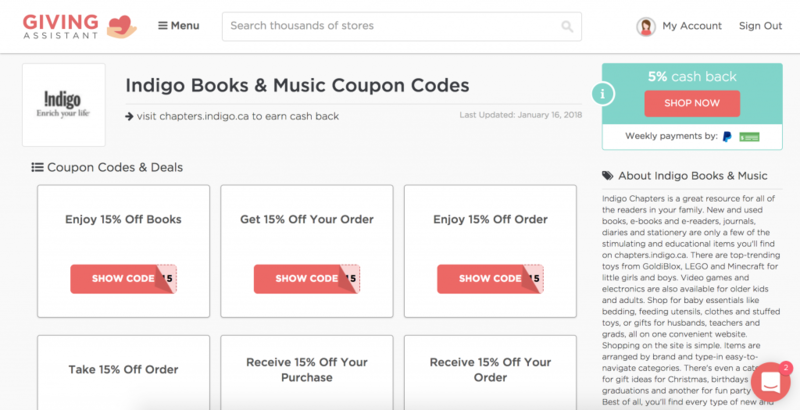 Click the red “Shop Now” button and you’ll be taken back to the Indigo website, but with a special code that tells Indigo that Giving Assistant sent you. Make your payment as you normally would. Your Giving Assistant account will record the cash back and you will receive an email with your cash back details. You can also always check your Cash Back History under Cash Back Balance (under My Account) to see what you’ve earned and when it’s been paid. Note that these cash back amounts may change over time. First, not all stores on the Giving Assistant site offer cash back; they may instead have coupon codes listed so still worth checking out before you make a purchase. Second, when you navigate to the store page on Giving Assistant, you can see cash back amounts for various categories, where applicable. There are some stores that offer different cash back amounts of different categories of products. 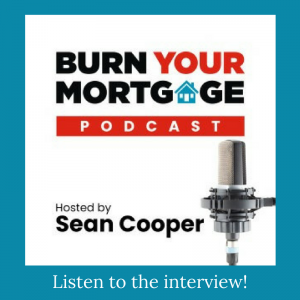 A big thank you to Ryan and the team at Giving Assistant for collaborating with me on this post. As always, all opinions are my own.